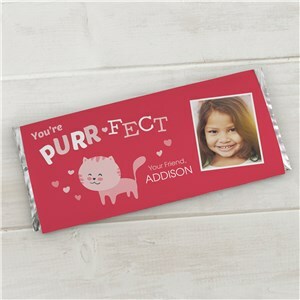 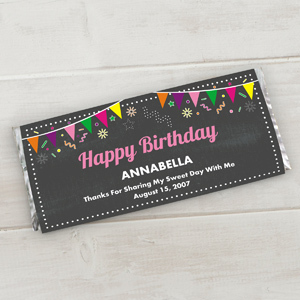 Your party favors and kids Valentines just got more special with our personalized candy wrappers! 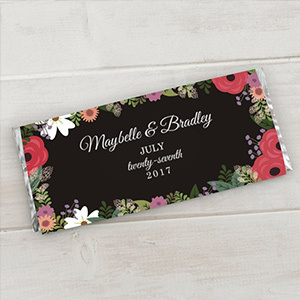 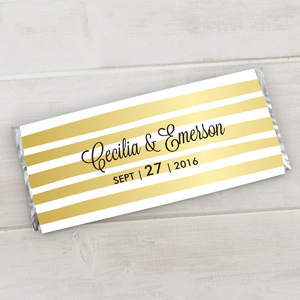 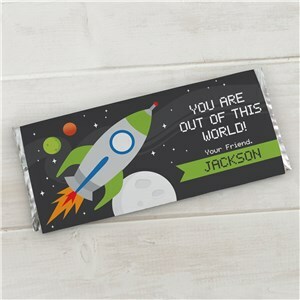 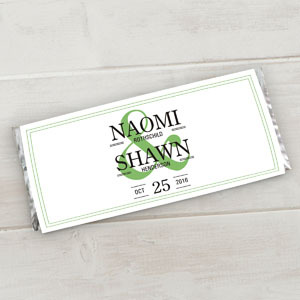 Choose a design you love, add your special details, and we'll send you your personalized candy bar wrappers to spruce up your favorite chocolate bar to create next-level favors. 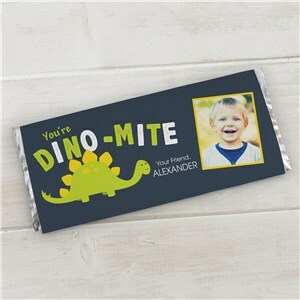 Great for children, weddings, birthdays and more! 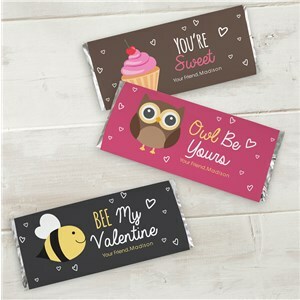 Create adorable personalized candy to hand out to your friends and sweethearts on Valentine's Day, beautiful personalized wedding favors, or sweet and spooky Halloween candy - it's easy! 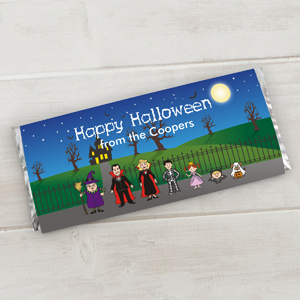 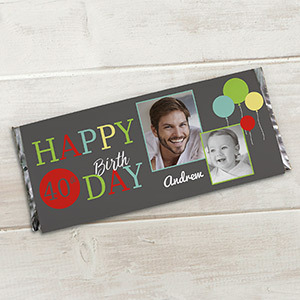 Choose your favorite design and select the quantity you need, pick up a bunch of your favorite iconic chocolate bars, and wrap them up with your brand new personalizable candy wraps! 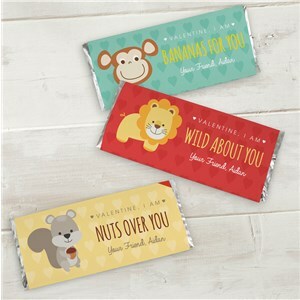 Be sure to check out our other terrific personalized wedding favors and Valentine's gift ideas for kids!